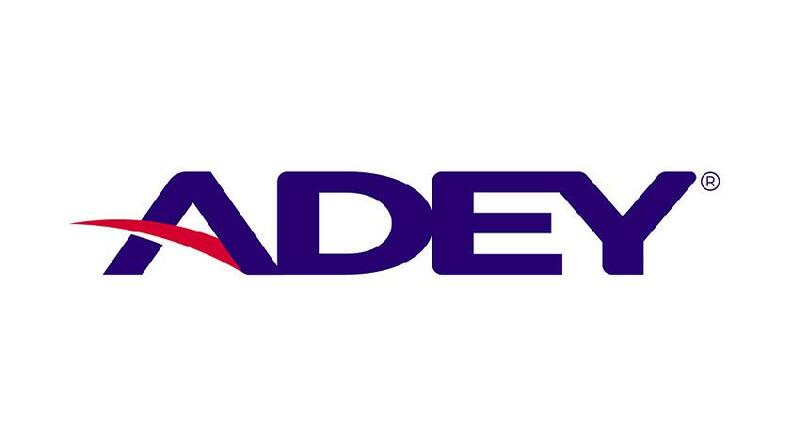 ADEY Professional Heating Solutions is the industry leading name in magnetic filtration, delivering best practice maintenance and protection for domestic and commercial central heating systems. The Queen’s Award winning firm that invented the technology continues to invest in ongoing product development with the industry’s most advanced filters including MagnaClean Professional2, MagnaClean Micro2 and the MagnaClean Professional2XP. ADEY’s MagnaClean filters are the best-selling brand with more than three million installed throughout Europe. Tens of thousands are fitted monthly making it the leading filter for installers, householders and the environment. ADEY also manufactures a growing range of premium quality chemicals developed in the UK at ADEY’s own UKAS accredited laboratory. The MagnaClean Pro 2 is my go to filter, only issue I have had recently was with an older model, after cleaning for a customer the O ring didn’t seal properly, found a similar size one and some silicone grease and all good. Would only fit these over any other brand, especially as the latest Magnaclean Pro 2 doesn’t seem to have the same O ring issue. Also like to add some MCL1 when cleaning. MagnaClean, THE MOST POWERFULL magnet in a system filter out there. the perfect choice on an older system although I like to use them on every install. A good all round company with great product selection & a loyalty scheme for installers. I mainly fit Pro 2’s as these are very reliable and easy to fit/service/maintain. Some other brands and a few leaks and problems but ADEY have not let me down. For very dirty systems I fit the TwinTec with a removable mesh filter to catch any non Ferrous debris. Would recommend Adey products to all. Adey are my product of choice, They are simple/easy to Install, and easy to maintain them, I like the new ADEY ATOM, as it gives a bit more flexibilty when installing to existing systems, that have low clearance height under the boiler. Great products will Only use there products with flushing heating systems. Always have great results and feedback from the community and always get the job done. 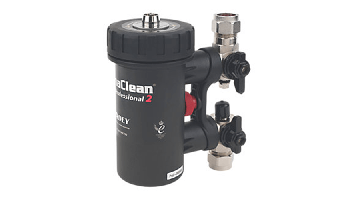 I use to install adey filters and i still do, i also have the magnacleanse system cleaner, but i have seen there are other competers on the market now which are as good as and cheaper. Does what it says on the tin... The pro2 chemical packs are perfect. Fit the bottle straight of cleanser in no messing around, flush, drain and whack full bottle of inhibitor in, job done! Always use these now days prefer the pro 2 as you can get a full bottle of chemical in one go but the mini does come in handy when not a lot of room. Robustly made, Very easy to install, easy to work with and does what it says, clears all the muck away! Excellent product and quality, very easy to fit and results are clearly visible when serviceing them Annually. I always install magnaclean pro 2/ pro 2 minis, When replacing boilers on existing systems. Its so convinient been able to easily detach the magnaclean to then attach the magnaclense and the results are brill! Have used these products from the start when they came out, they have proved themselves to be the best on the market in my opinion, and as I also own the Magnaclean I use this too on every install and have yet to have a single dirty system water related issue on any of my installs. Brilliant Products. The best magnetic filter on the market, we fit one with every boiler we install !! Tried others and get called back after a year for Leaking seals etc. Never had a problem with magna clean ! Have used magna cleanse for over five years now and never had any issues whatsoever. I even won the magna cleanse kit through registering the warranties for the filters and about 6 chemical packs and couple of pro 2's. Love the quality of the Pro2 filters and the chems work really well. There are some great deals out there so would always chose the Pro2 over any other filter. Customer loves. We love it. Our heating system loves it! Value for money right the product range is great. The quality is 2nd to none. Does not do what it says on the tin!!!!!!!!!!!!!!!!!!!!!!!!!!!!!!!!!!!!!!!!!!!!!!!!!!!!!!!!!!!!!!!!!!!!!!!!!!!!!!!!!!!!!!!!!!!!!!!!!!!!!!!!!!!!!!! Sludge removal is excellent across the range and the magnaclean pro2 install is super easy and fast. Great products. I use the filters and chemicals this company makes on all my boiler installs, They are 100% better than other products on the market today. better built and simple to use and service. By far the best on the market, I find Magna cleans collect more sludge than any other brand. Their Magna cleanse is great for removing large amount of sludge when flushing. Magnaclean pro 2 chemical pack is the best on the market in my opinion, easy too fit and service. Pricey but you get what you pay for and if it’s prolonging the life of your heat exchanger then for me it’s a no brainier. There products do what they say over priced now there bigger company I have never contacted customer services so not sure on that one. The Magnacleanse is a great bit of kit. It really makes flushing nice and simple. The customers always love seeing what's been pulled out of the system with the magnets. I’ve got the magma cleanse magnets for power flushing, brilliant bit of kit, wouldn’t flush without them. Excellent kit! The Pro2 filter is so easy to fit too with the demountable fittings for servicing etc. A good strong magnet that really catches it's stuff! Easy to fit and an extremely reliable product. Great value and if there any issues which is very rare the customer service is excellent to. Great filters and chemicals, I only ever use Adey! The magnacleanse unit is a great bit of kit too! Best magnetic filter on the market in my opinion, easy to install, easy to clean, they're a no brainer. I use the magna cleanse on each install I do and it always does a great job. Backed up with the filter fitted to the boiler I have had no issues with blockages or poor water quality since using Adey products. Always fit with new installs, very easy to install and maintain, great products. Also very easy to flush system when using the pro2 filter and magnacleanse unit. Always fit these. Great valve as a chemical pack. Not a single problem with them. Pro2 is my preferred choice from the range. Been using these for years now, other makes and models on the market but much rather use adey brand. Perfect innovation for heating systems specially professional 2 version with push fit easy to fit and maintain. Highly recommended. Fitted alot of micros above boiler. Top o ring wasn't great on the older one but not had any problems recently. Used a couple of other filters that were cheaper and also more expensive, but in my opinion this is the best one on the market. Easy to install, easy to service, and always seems to collect a lot more than the other. Fantastic products, great range of sizes on the magnaclean and the magnacleanse is amazing. Magnacleanse can make you a fortune as it cleans the system so much more efficiently compared to a power flush. Used a few different filters, but found the Magnaclean Pro 2 to be the best by far. Collects debris extremely well and easy to service too. Only downside is still no powerflush. Good products, used to fit the MagnaClean before switching to a brass filter, I do use the MagnaCleanse quite often had a few of the hammers snap but customer service has been relatively good. Great products never had an issue with any adey product I've used great value for money and Customer service. Have tried a couple other filters but thr Pro2 in by far the best about. Won't use anything else now. My go to filter. I've tried others when price has been a serious issue but now will only fit these. The Pro2 is a great filter with some good features. I'd like to see some sort of feature to stop the valves moving on the push fit connections one in position. But generally really good. I prefer Adey to other makes on the market. Pro 2 now has ten year warranty. Problem I have found that It only just takes their chemicals. Most other makes, your draining pipe work. Customer service is great. No problem ordering spares. The magma cleanse is a very good piece of kit. Been using the magnacleanse now for over a year. In regards to cleansing the system, as opposed to power flushing, I've found this method to be very successful. Especially when using the adgitator. The two powerful magnets do a great job of collecting all the magnetite that's settled in the radiators, and being able to see how much has been removed, is also something that I show my customers to let them know what has been taken out of their system. Overall, I've been very happy with the product. Very good products and easy to fit. Still the best. Definitely get what you pay for. Good build quality. My preferred filter is the pro 2. Chemicals work really well too. These are still top in my opinion, other filters don't even come close, top quality and the customers know the name now. They do have a tendency of leaking, but only the old versions and that's understandable really as people are messing with it every year. Use Magnaclean filters because I have the Magnacleanse machine, great piece of kit . I've also used fernox filters but find Magnaclean range are easier to install and maintain. Pro 2 and Micro 2 - best filters on market. Magnacleanse - great innovative product. Adey - Good customer service. Wouldn't fit anything but a magna Clean pro 2. The rep is a good lad too. Never had any issues and now comes with 10 year warranty. Good company Good communication Good products Can't go wrong with using this company. Recommend to anyone to use them. Love this range of filters, very easy to install and ata good price, market leader by miles in my opinion. When it comes to central heating filters and chemicals, the Adey guys have nailed it. Over the years I've used most of the different ranges but when it comes to build quality and easy annual servicing the Adey filters are in a league of their own. As for the Adey chemicals find the cleaners work more effective than the other brands on the market. I have tried most filters on the market and find the Adey filters by far the best in every aspect. The quality of the filters is excellent with a good range and size options to help with tight and awkward locations. Wouldn't use any other filter or cleaner! By far the best across the market for chemicals, filter and magnaclease. All I've ever used!! Best system filter on the market. At the end of my commissioned job after the flush and showing the customer the results and benefits of installing one to protect there boiler. They're outstanded, lost for words. They sell there selves! All I need now is a magnacleanser and I'll be away. I only now use adey products they are the market leaders and have everything I need to protect my customers. Love using adey products, have been using them for years and never had any problems with them! Especially the magnacleanse machine, have used it for a very long time. Love Adey stuff. I've got the magnacleanse and it's saved me so much time on flushing systems that aren't too blocked up. Magnaclean pros are superb and by far the best on the market in my opinion. Had a Magnacleanse for a while now and I've been very happy with it. The backup from the company has been superb also with nothing ever seeming too much trouble if we have required spares or accessories. I have fitted a few hundred of these now . Installing more of the micro filters now .wouldnt fit any other filter and well priced aswell. Some great products, especially the magnacleanse that thing is a beast, the sludge doesn't know what hit it! My review is based on the Adey Pro2 system filter, the XP2 filter and the MagnaCleanse system. These are the three products we use often. The Pro2 is IMO the best system filter out there. The MagnaCleansenis amazing and shows customers the real results of removing sludge from dirty systems. I've been fitting magnacleans for years with no issues. I have one in my own home for 7 years. You can see the difference it makes each year during a service. Their chemicals seem good too.